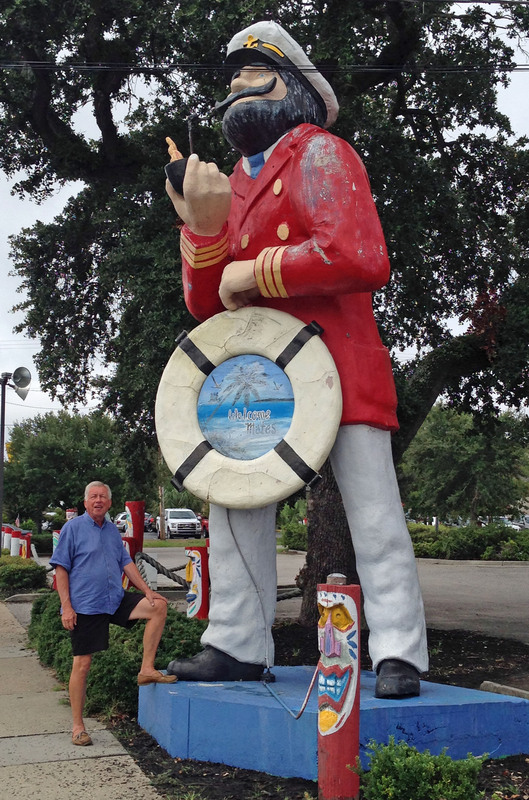 Best of Philly Sea Captain – The Home of My "Big Things"
I didn’t get the connection but this sea captain is in front of Best of Philly on US-17 in Myrtle Beach, South Carolina. The place is small but it is a bit of South Philly transplanted to the South. The cook is actually transplanted from South Philly and they use Amoroso’s Bread so you a guaranteed authentic rolls. We passed on the chance to grab a steak here and continued up US-17, finally eating at The Village Café in Hampstead, North Carolina. Hate to say it, but I had a better meal than a cheese steak. Stop in if you are in the area.